how can i shorten the height of my rudbeckia? I bought a different kind of rudbeckia not realizing the height was 5 feet. 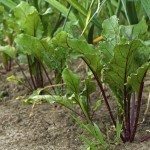 BeetsBeet Plant Height: Do Beets Get Big? While you really cannot do anything about its height per say, you can trim the plants or deadhead to encourage more compact growth.